The minute I mention to people that I bleach, I get the strangest stares like I am committing some biggggggggg crime. Well if you live in a city like Bombay(I still prefer to call it that than Mumbai,) then the pollution plays havoc with your skin especially if you travel within the city regularly. Along with pollution you are exposed to the harsh rays of the sun which together can cause real damage like dulling the skin, accelerated aging and uneven skin tone. All this is mainly caused because the level of oxygen in our skin decreases. But how would bleaching be an answer to this you must be wondering as bleach is considered harmful by most people, and that is why most people judge my beauty sense and knowledge. Well it is because I use the Oxylife Crème Bleach for women which is an amazing product that contains the goodness of oxygen and is suitable for any skin type. Before my pregnancy I would usually head to the salon for my bleaching sessions, and the product used was of a brand of international repute. 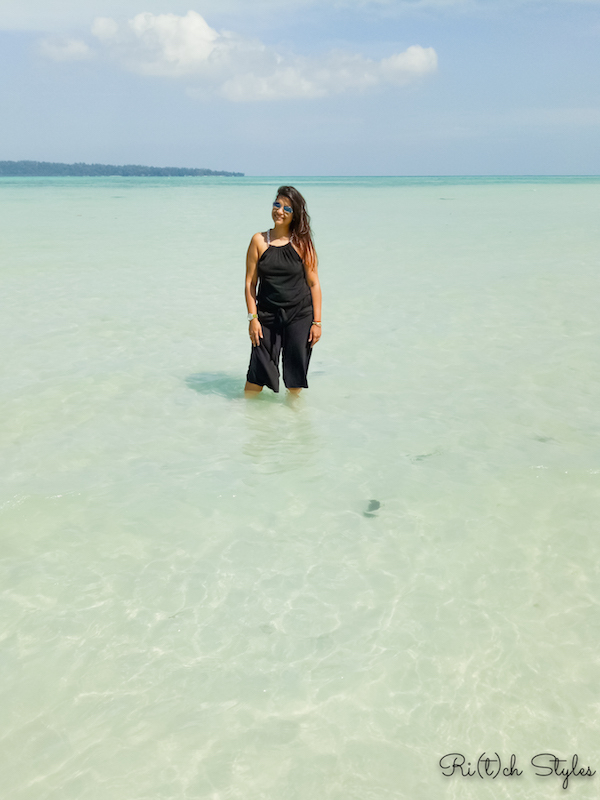 It was with the goodness of oxygen as well, but when I got pregnant I stopped bleaching altogether due to the doctor asking me to stop these treatments. Thankfully pregnancy had a good effect on my skin and as I hardly stepped out, my skin had a nice pregnancy glow to it which did not make me miss bleaching too much. After Aryaa was born, I decided to get back to bleaching as my engagements outside increased and my sleep reduced due to which the glow began to fade. But the salon that I earlier went too was in Colaba and so it was just not possible for me to go there all the way from Vashi. 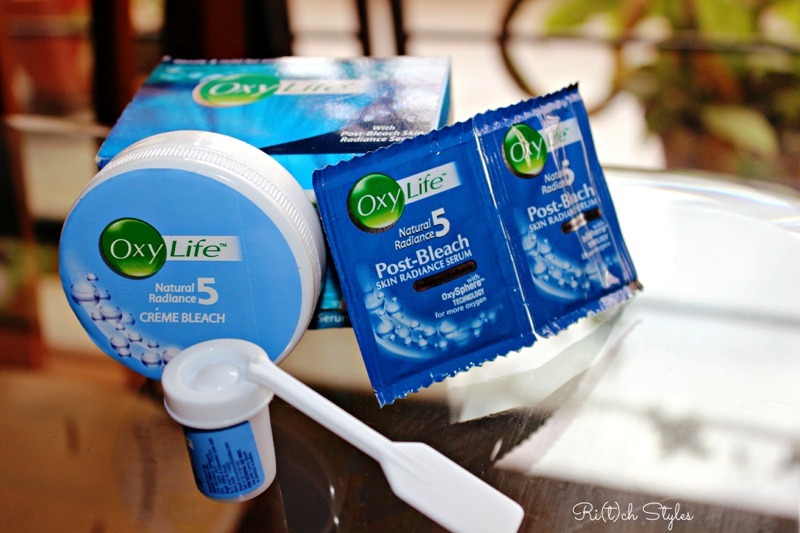 That is when a blogger friend of mine told me about Oxylife Crème Bleach which I could use at home and get similar results. The next day I went right ahead and bought it. What she said was true, it is a revolutionary bleach and after 10 months of no bleaching, the change showed immediately. Its special oxygen technology infuses a healthy glow and makes your skin look flawless. When the scientifically formulated Oxylife Crème Bleach is applied on the skin, pure oxygen is released but the micro structurants that it contains help prevent the released oxygen from escaping into the atmosphere. The oxygen then carries active ingredients into the skin and thereby nourishes, energizes and protects it. The bleach comes with a very effective post-bleach radiance serum which further nourishes the skin and in tandem with the bleach, helps repair 5 problems like dark spots, uneven skin tone, dull skin, dead skin cells and sun tan for long lasting radiance. This cream is not for those who are looking at very strong bleaches. This is a mild yet effective bleach. The best part is that it contains no ammonia which is what most people fear. Wash face with plain water and pat dry. Take Crème bleach and powder activator in the ratio of 7:1 and mix well. Mix well for 2 minutes till the powder activator doesn't dissolve completely. Use the spatula and apply the mixture to the face and neck. Avoid eyebrows and around the eyes. If your skin tone is fair leave on for 15-20 mins, if wheatish then 10-15 minutes and if darker then up to 10 minutes. Over time you will come to the time that works best for you. After the recommended time is up, wash off with plain water. When done, apply the post-bleach serum to the bleached area. 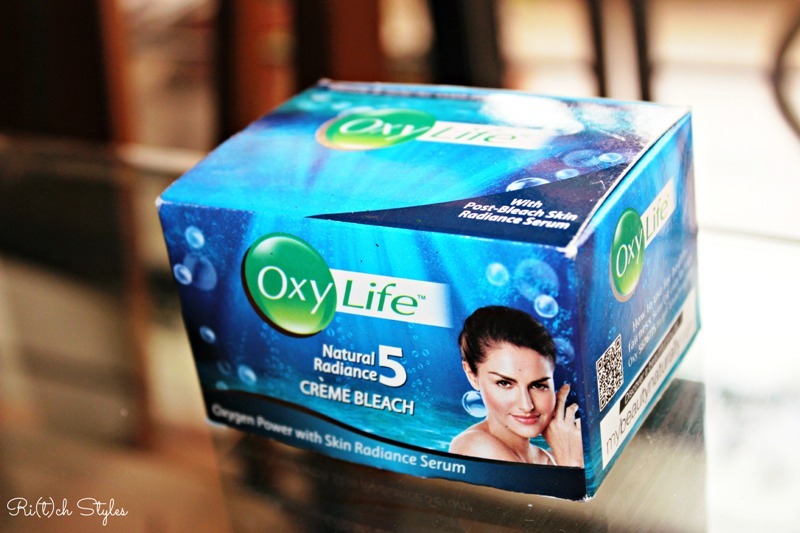 The Oxylife Crème Bleach costs INR 35/- for the 7gms pack which is for 1 use and INR 80/- for the 27gms pack which suffices for 3 uses.